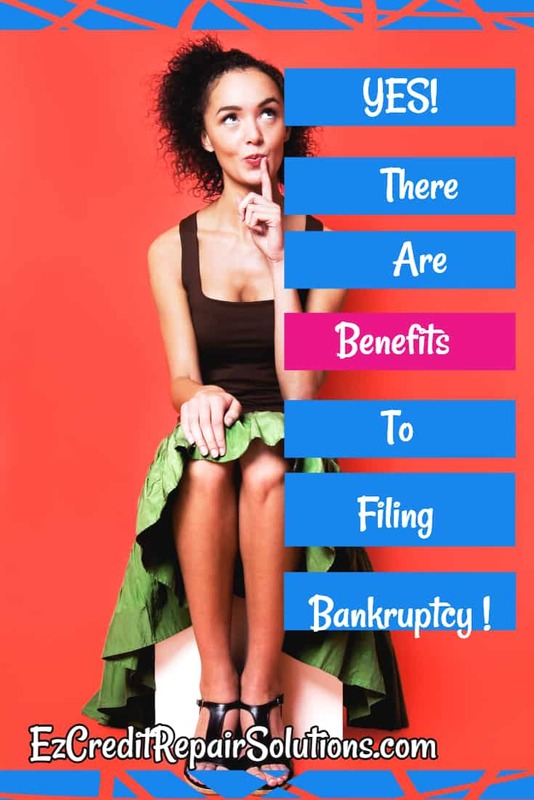 Many people would probably cringe at the mere thought of having to file for bankruptcy. But in reality, many are forced to seek out bankruptcy as it is the only viable solution to their debt problem. While nobody wants to have a bankruptcy credit report, in certain circumstances, it can actually be beneficial not only for the borrower but for the borrower’s family as well. The chance to be free from debts. A Chapter 13 Bankruptcy will discharge you from all your obligations to your creditors. However, it is worth noting that not all types of debts can be discharged by bankruptcy such as student loans, liens, family support, to name a few. The court shall be the one to decide whether you will be eligible for a Chapter 13 Bankruptcy based upon the result of your Income Means Test. If you fail test, the court may rule a Chapter 7 Bankruptcy which will put you under a five-year repayment plan. Stop repossession. When a borrower files for bankruptcy, the bank or lending company cannot continue with the repossession procedures until the court ruling have been completed. This gives a debtor the opportunity to catch up with their payments and avoid losing their home to their lender. Stop debt collection. If you are tired hearing from creditors and debt collection agencies reminding you of your obligations, filing for bankruptcy can give you some space and peace of mind. Once your bankruptcy application has been filed, creditors and debt collection agencies must stop all its debt collection attempts at once. A fresh start to rebuild credit. After being discharged, check your bankruptcy credit report to make sure that there are no errors or inaccuracies in your file. Order a copy from each of the three credit report agencies (Experian, Equifax, TransUnion) so you can start rebuilding your damaged credit history one step at a time. Yes, filing for bankruptcy is not advisable for all. It should not be seen as an instant solution to escape debt problems. If you are stuck in a bad debt situation, it is recommended that you seek professional advice from a trusted credit counseling agency to determine whether or not bankruptcy is right for you. Well people would have less concerns of their finances if the government would do as they promise.